Feyenoord beat NAC Breda 4-2 at De Kuip on Sunday to round off the first set of Eredivisie fixtures before the international break. Two strikes by Robin van Persie, an own goal by Benjamin van Leer and a Tonny Vilhena goal were enough to win the three points, giving Feyenoord a third league win on the bounce. Ahead of the game Giovanni van Bronckhorst expressed his wish to complete the first set of four fixtures with a victory to ensure his team were in the mix at the top end of the table going into the first international break since the World Cup. His side showed they shared that same desire from the kick off against NAC Breda in the second home league game of the season. 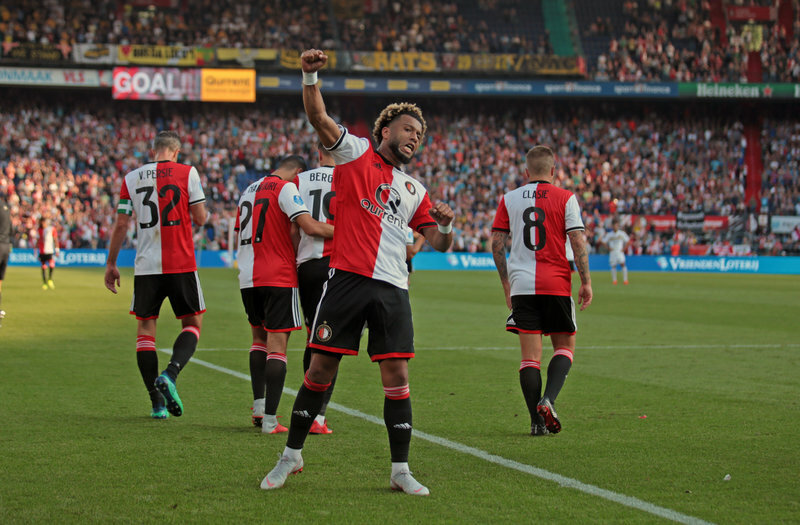 Feyenoord looked lively from the first minute, but despite early opportunities for Jeremiah St. Juste and Steven Berghuis the opening goal did not arrive until the 24th minute. St. Juste took a free kick quickly, playing into Berghuis, who knocked it back for Robin van Persie. The Dutch international netted his third goal of the Eredivisie season. The lead seemed to have given Feyenoord the upper hand, but Gianluca Nijholt jolted the hosts back to reality with an equaliser on 34 minutes. He netted from the spot after Tyrell Malacia had given away a penalty. The sides went in level at the break. Feyenoord started the second half as brightly as the first and the reward came on 63 minutes. Van Persie headed at goal, but it hit Van Leer on the heel before going in, denying the striker a second goal to his name. It was not long before Van Persie was celebrating though. Ten minutes later Van Leer had no chance when Van Persie poked in from a corner to make it 3-1. Tonny Vilhena added the fourth, his first of the season. The midfielder latched onto Yassin Ayoub’s through-ball on 78 minutes to chip it over Van Leer with his right. Former Feyenoord player Mitchell te Vrede got a goal back for the visitors late on, as the match ended 4-2. The win, their eleventh Eredivisie victory in twelve outings, leaves Feyenoord third in the table after four match days. Giovanni van Bronckhorst’s team have nine points, three behind PSV and one less than Ajax. After a free weekend, next up Feyenoord travel to Alkmaar on Sunday 16 September to take on AZ. Kick-off is 12:15 CET.